Police forces are tasked with maintaining public order when large crowds gather for example at football matches, other cultural and social events, marches, or at political demonstrations. For them, the challenge is to balance the right to assemble with the need to ensure that order is preserved and people protected. 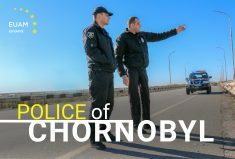 EUAM cooperates with ICITAP (International Criminal Investigative Training Assistance Program), Agriteam Canada and the European Gendarmerie Force in order to help the National Police of Ukraine and Ministry of Internal Affairs of Ukraine to implement best European practices in the sphere of public order. 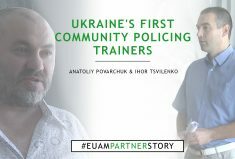 Together with the National Police and international partners, EUAM has established a working group and action plan on public order that sets out five keys areas of public-order reform, namely: support to the development of relevant legislation, organisation and administration of public-order units, development of internal police regulations and procedures, training of public-order units, and public-order equipment.